Don't miss today's bird carnival, hosted by Home Bird Notes. HomeBird takes us on a delightful journey from her home in south Jersey around the world. The survey form appears on pages 59 and 60 of the May/June issue. We ask that you tear out that page (photocopies will not be accepted) and mail the completed form before July 1. It is possible, however, for you to disqualify your entries; the rules appear on page 59. Scientists at the University of California at San Diego say a non-native species that's usually vilified by birders recognizes grammar in birdsong. The study will appear in Nature on Thursday. "Our research is a refutation of the canonical position that what makes human language unique is a singular ability to comprehend these kinds of patterns," said the leader of the new study, Timothy Gentner of the University of California at San Diego. 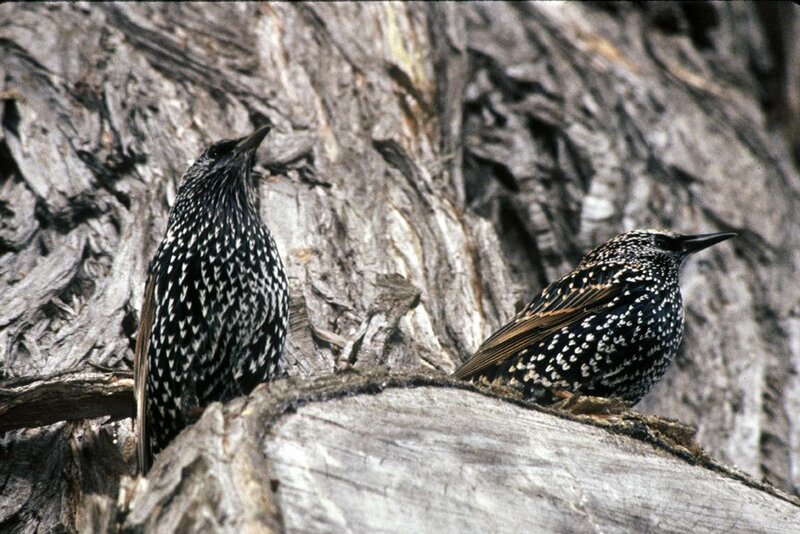 Will this improve starlings' popularity among birders? The Classic's weeklong tournament, in which Nikon and WildBird have sponsored a team, began yesterday. I have no clue where Michael Retter, Cameron Cox, Mike Freiberg and Ken Behren (aka Nikon WildBirders) are at this moment. 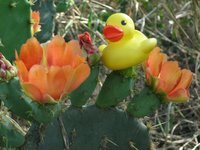 Phone calls yesterday failed to elicit responses -- which isn't surprising, given their task of covering the entire state of Texas in five days and identifying the most species. I don't anticipate talking to them until about midnight on Saturday, when the guys will turn in their team checklist for the judges' reviews. If the Nikon WildBirders win the weeklong tournament, they'll receive bragging rights for a year and the chance to donate $20,000 to a habitat conservation project in Texas, as previous WildBird teams have. This year, the fellows aren't the only ones participating in the Classic. A few months ago, Clay Taylor of Swarovski invited me to drive during the Lower Coast tournament this Saturday. 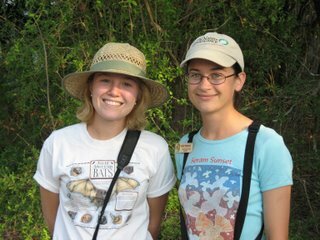 The 24-hour tourney will begin at midnight on Friday, and I'll chaffeur four fellows, including Clay and John Arvin of the Gulf Coast Bird Observatory. I can't wait! Want to climb a 100-foot canopy tower without flying to Panama? Head to Alabama, and try out the new tower at Perry Lakes Park. Constructed by Auburn University's School of Architecture Rural Studio program, the facility near Marion (east of Montgomery) opened last weekend after a four-year effort by architecture students. the objective for the canopy tower is to create an opportunity for the underserved community in the southern united states to participate in one of the fastest growing sports, birding. 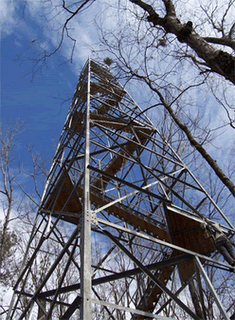 participation in the sport of birding increased 235% from 1982 to 2000. the canopy tower will enable birders to access heights not previously available in the past. sport participation and education for local children and families will result from the new viewing opportunities. The link above leads to details and photographs about the students' work on the boardwalk and the canopy tower, a recycled fire tower donated by the Alabama Forestry Commission. Could this idea lead to more birding towers in North America? Thanks to reader Bart S. for the news tip! Do you revel in photos of birds? Even if you don't take pictures of birds in your back yard or in the field, you might enjoy perusing some of the 3,368 Flickr photo groups that use a bird "tag", such as Bird Fanatics!, Birds of Prey, Bird Identification help book or Birds in Flight. If you'd like to search for a "tag" or keyword, visit Flickr's homepage. To search for groups, you apparently need to sign in to Flickr. 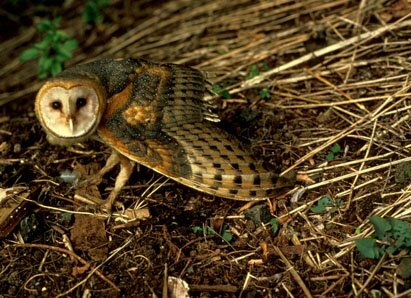 The Bay Area bastion of liberalism recently adopted Barn Owl as the city bird. ...the barn owl seems like a good fit for this town. Berkeley likes to think of itself as the Athens of the West: well, in classical Greece the owl was the bird of Athena. Its image graced Athenian coins, and it was associated with victory and prosperity. Although owls have often had a sinister reputation, some peoples, including the Ainu and the Cherokee, revered them or at least saw admirable qualities in them. Do you know of other cities that adopted a bird? 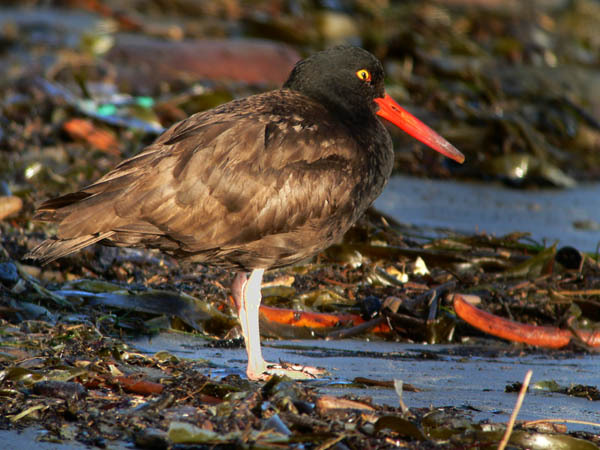 WildBird columnist Jeff Bouton shared this Black Oystercatcher, digiscoped near Trinidad before Godwit Days swung into action Friday. When not traveling to festivals around the country, Jeff writes the Adventures with Austin column, covering different aspects of birding with his 7-year-old son. I particularly enjoyed editing the column for the July/August issue, which'll be available in early April. 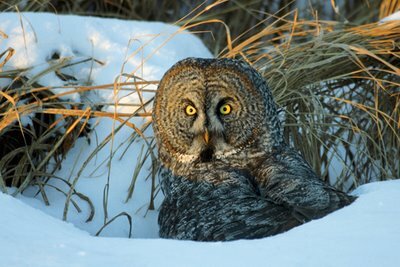 Cornell Lab of Ornithology is looking for backyard birders to contribute to its new citizen-science project, My Yard Counts. For five months, the project combines observations around residences in rural, suburban and urban settings with information about yards. 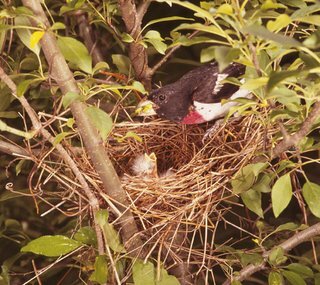 By participating, you will help researchers identify the features in yards that are most important to birds. To help, all you have to do is count all the birds you see in the immediate vicinity around your residence during 20 minutes of bird watching approximately every week from April to August. You'll fill out a one-time, online questionnaire about your yard or the area around your residence. Also, you'll have the option of keeping track of pet-wildlife interactions and reporting what you see online. Please spread the word far and wide to backyard-birding friends! Snowy Plovers living along the Pacific Coast still deserve federal protection under the Endangered Species Act. The U.S. Fish & Wildlife Service reviewed the status of Charadrius alexandrinus nivosus (the western subspecies) and determined that it "remains at risk from habitat loss, human disturbances and other perils and should retain its status as threatened." Listed as threatened since 1993, the western population breeds in coastal areas in California, Oregon and Washington. The current population estimate is about 2,300, based on a 2005 survey. The largest number of breeding birds occurs south of San Francisco Bay to southern Baja. It is classified as a “distinct population segment” under the ESA, separate from populations that nest in inland areas from Nevada and Utah to Kansas, Oklahoma and Texas. 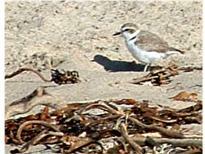 Today’s action was triggered by two petitions filed in 2002 and 2003, respectively, by the Surf-Ocean Beach Commission of Lompoc, Calif., and the City of Morro Bay, Calif., seeking to delist the Pacific Coast population of the western Snowy Plover. The petitions contended that the population does not qualify either as a distinct population or as a threatened species. The service found that the Pacific Coast population differs markedly from other populations of plover in its behavior. With only very isolated exceptions, the Pacific Coast birds breed and stay on the coast their entire lives. The population's discreteness legally qualify it as a distinct population segment under the ESA. Threats to the species remain essentially the same since 1993, although recovery efforts have proven somewhat successful. Have the high prices for a gallon of gas hit your neighborhood? Yesterday, I paid $3.29 for 91 octane (my 34-year-old car requires it). That's almost $35 to fill the tank. Luckily, she's pretty fuel-efficient for an old broad, getting about 23 miles per gallon in the city and 32 on the highway. That's the same as some 2005 small cars. I know more than a few birders who drive much larger cars and even purchase minivans and SUVs for a higher vantage point while birding. The fuel efficiency of those vehicles is horrid, though. Does that fact carry more weight now with the rising gas prices? Will more birders -- who often consider themselves conservationists and environmentalists -- purchase vehicles that run more efficiently and consume less gas? Do birders who disagree with oil drilling in the Arctic National Wildlife Refuge drive fuel-efficient vehicles that reduce the American demand for oil? In the short term, will gas prices prompt more carpooling or reduce excursions to birding sites? Could the price increase affect your birding activities? 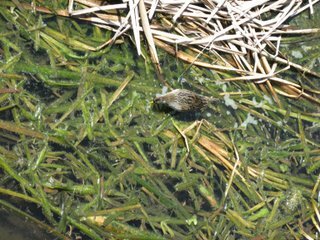 What do you do when one species begins to encroach on the nesting habitat of two at-risk species? 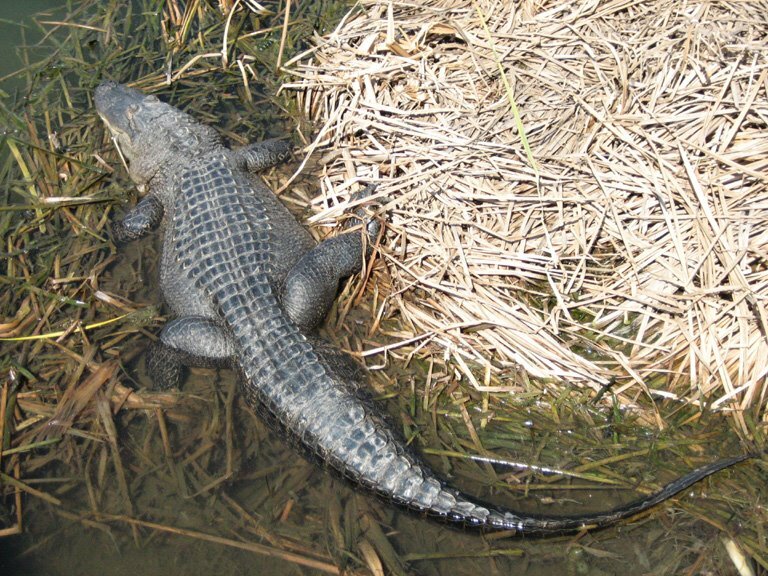 That dilemma has faced wildlife officials in Pennsylvania for almost 10 years. This week, the Pennsylvania Game Commission announced its "long-considered, last-resort option" to kill Double-crested Cormorants nesting on Wade Island, an Important Bird Area and a long-time nesting site for Great Egrets (above) and Black-crowned Night-Herons. "...no other place in the state comes close when comparing the number of nesting sites of these magnificent birds," said Dan Brauning, Game Commission Wildlife Diversity Section supervisor. 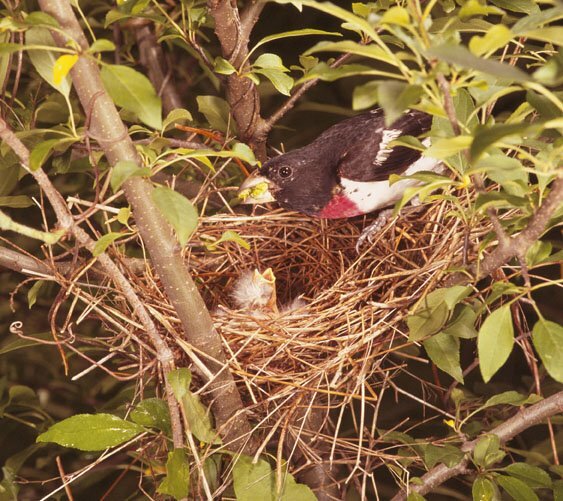 "Unfortunately, Double-crested Cormorants - also colony nesters - have invaded the night-heron and egret nesting area, and the nesting activity of the cormorants has increasingly become a concern. While cormorants were at one time rare in Pennsylvania, populations have steadily increased since the early 1980s, and they have never been considered a candidate for the state's species of concern list." Brauning said studies show that when nesting cormorants encroach upon colonies of other nesting birds, they reduce the amount of nesting space for those species. 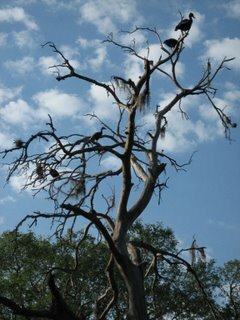 Cormorants have been known to take over egret nests and to kill trees as a result of their nesting activity. Several cases found that cormorant droppings on nesting trees apparently caused egrets to abandon colonies. "In addition to the competition for nesting sites, cormorants also may compete with the herons and egrets for food in the local area around Wade Island," Brauning said. "All three birds feed on fish, and while cormorants usually dive deeper than herons and egrets for their food, scientists believe that the feeding areas of the three species likely overlap in the shallow depths of the Susquehanna River." The commission has worked with USDA Wildlife Services and U.S. Fish & Wildlife Service to plan the culling program. It's a difficult situation... or maybe it isn't, in your view. 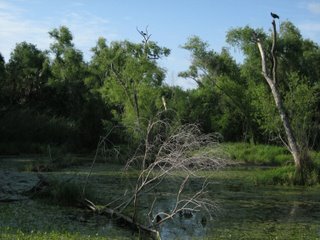 How would you handle the cormorants' effect on the egrets and night-herons? A wee bit too much birdseed? Today's Los Angeles Times carries the story of a woman who refuses to stop spreading seed in Hollywood. Her behavior might seem harmless... except that she distributes hundreds of pounds of seed every morning, attracting Rock Pigeons galore. Naturally, their droppings decorate sidewalks, cars and buildings. City officials have tried to persuade the "Bird Lady" to leave her 25-pound bags of seed at home, but she refuses, leading to lots of refuse for other people to dodge and deal with daily. The woman seems to believe that the pigeons will die if she doesn't provide seed. She's wrong, and she's not doing the birds or birders any favors by engendering this conflict. Her behavior could lead nonbirders to look at birders unfavorably. Is it possible for a birder from, say, Los Angeles Audubon Society to find the Bird Lady during her early-morning rounds at Argyle Avenue and Yucca Street and talk some sense into her? Where is the Birding Capital of America? 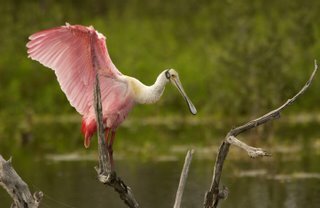 The St. Petersburg-Clearwater area in Florida recently touted itself as a top candidate for the title "Birding Capital of America." 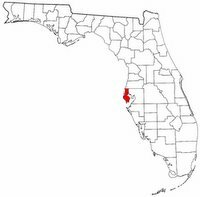 Pinellas County apparently sits at the convergence of three zones (temperate, subtropic and Caribbean), and it hosts birds -- more than 365 species -- from all three zones. Among its notable residents and visitors are Least Tern, Merlin, Little Blue Heron, Barred Owl and Black-crowned Night-Heron. I do have to agree that a location that hosts Roseate Spoonbills three out of four seasons is a pretty cool site. If it is possible, how do we choose a city, county or region to bear that title? Do we determine a capital solely on the number and variety of species seen and heard? If not, what other criteria can we consider? What sites do you nominate for Birding Capital of America? Map courtesy of Snob Hollow Designs. Roseate Spoonbill courtesy of U.S. Fish & Wildlife Service. If you'd like to see more images from Leigh Johnson's inaugural visit to the lower Rio Grande Valley this month, click here. You might see some surprises. If you missed the daily roundups last week, you still can read about the outings on Saturday, Sunday, Monday and Tuesday. The U.S. 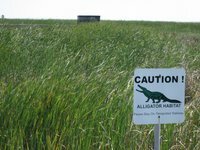 Fish & Wildlife Service continually reviews the status of plants and animals on the federal list of endangered and threatened species. The service's Pacific region recently announced its five-year review of 70 species in Idaho, Oregon, Washington, Hawaii and Guam. 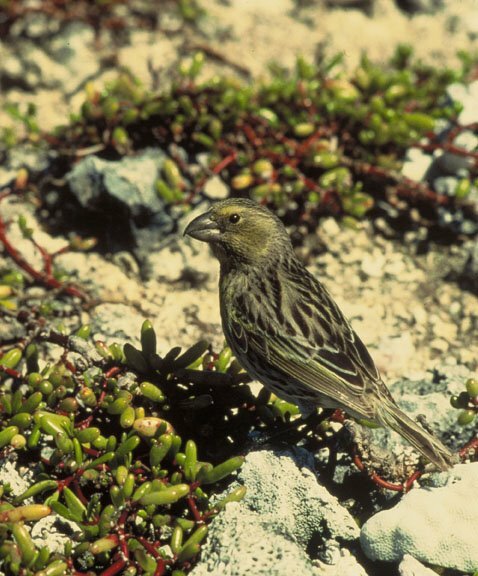 Six of those species are birds in Hawaii and Guam, such as the Laysan Finch. It's my impression that many North American birders remain unaware of the endemic birds in the Hawaiian Islands, which host more endangered species than any other state. 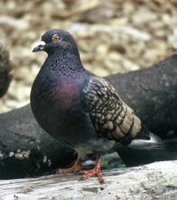 Hawaii has 317 species within its boundaries -- 44 animals (of which 32 are birds) and 273 plants -- while California has the next highest tally at 308, 129 animals (of which 17 are birds) and 179 plants. The six Pacific birds currently under review include: Maui Akepa, Oahu Creeper, Laysan Finch, Guam Micronesian Kingfisher, Nukupu'u (noo-koo-poo-oo) and Po'ouli (poh-oh-oo-lee). 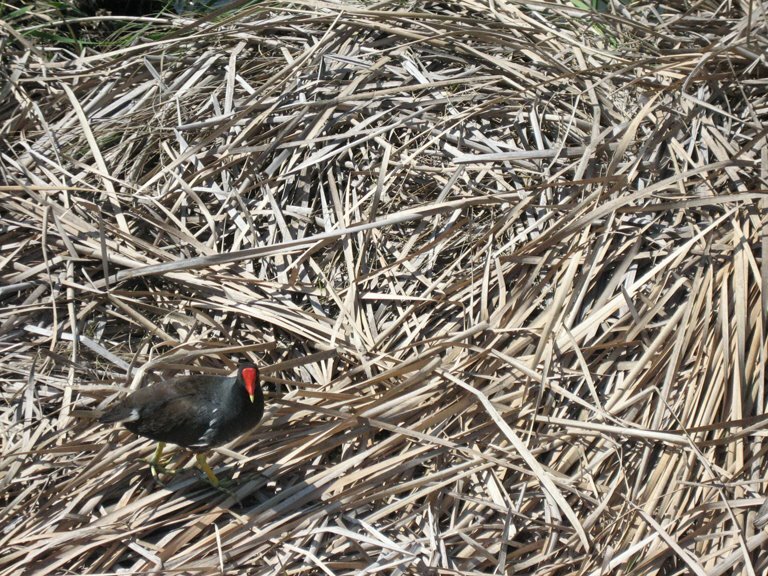 To learn more about the Aloha State's endemic birds, visit Hawaii Audubon Society. To learn about species protected by the Endangered Species Act, visit the service's site. "Conserving Birds in Human-Dominated Landscapes"
The American Museum of Natural History in New York City will host its annual spring symposium on April 27-28, "Conserving Birds in Human-Dominated Landscapes." The subject of conserving rare birds in the wild has long been the focus of research, debate, and action among scientists and resource managers. Recently, there has been growing recognition of diverse avian responses to broad-scale human activities in urban centers, agricultural areas, coastal communities, working forests-the wide array of landscapes we call home. Within these human-dominated systems, shifts are occurring in bird abundance, distribution, behavior, life histories and, ultimately, evolutionary potential. This conference will focus on unique challenges to, and key opportunities for invigorating bird diversity in the areas most heavily impacted by human activities. Click on the link above to see a fantastic Escher print and for registration details. 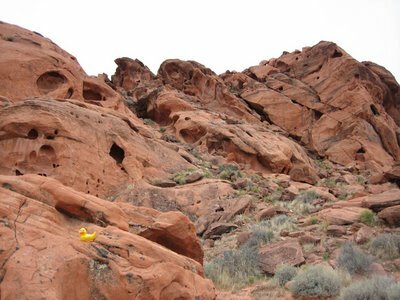 If you hike while looking for birds, you know the value of well-maintained hiking trails. In an effort to add, improve and repair access and trails, the American Hiking Society provides National Trails Fund grants to nonprofit groups around the country. This year's recipients include Friends of Little Pend Oreille, a volunteer group that supports Little Pend Oreille National Wildlife Refuge in northeast Washington and plans to build a wheelchair-accessible trail into a refuge that currently lacks designated trails. 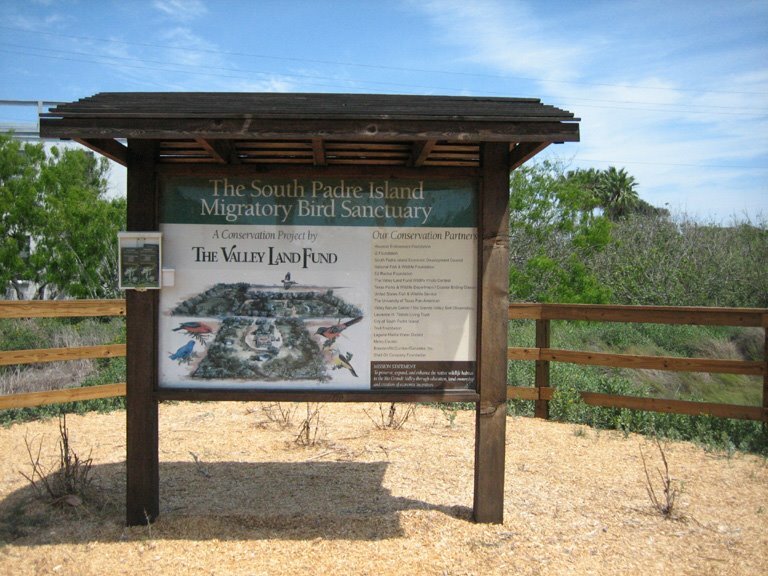 In southeast Rhode Island, the Norman Bird Sanctuary will use the grant to improve its trails, used by approximately 15,000 visitors each year. Today's New York Times includes an article about Cape May, N.J., in its Real Estate section. IT'S migration time in Cape May. The birds are converging — millions of them, flapping along their annual routes and propelled by primal urges toward this favored resting spot at the tip of the Jersey Shore. 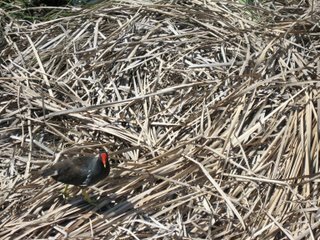 The birders, too, are following the seasonal imperative, nesting in their habitats of one-story bungalows and gingerbread Victorians. 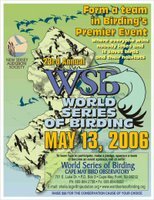 For those lucky enough to own second homes in Cape May, an internationally renowned birding hot spot, the spring approach of the American woodcock and neotropical warblers and all their feathered ilk means the time has come once again to air out the house, tend to the bird-friendly garden and polish up the scopes. Have you visited Cape May, at the southernmost tip of NooJOYzee? I find it a delightful spot for the birding, the birders and the Victorians. Plus, Bath Time on Jackson Street offers an amazing array of rubber ducks. In a few weeks, I get to visit Bath Time -- and oh yes, the birding sites -- while in town for the World Series of Birding on May 13. WildBird always sponsors a team in the 24-hour competition, and it's my pleasure to hang out with the guys before and after their participation in the fund-raising event. The deadline for this year's contest will arrive in two weeks: April 29. Have you sent your entries? Last year, teenager Ben Sosniecki of Chanhassen, Minn., won the grand prize with his Great Gray Owl photo. If you send an entry, please write the entry's category on the lower left-hand corner of the envelope. If you fail to do so, I won't open the entry. Thanks for your help! 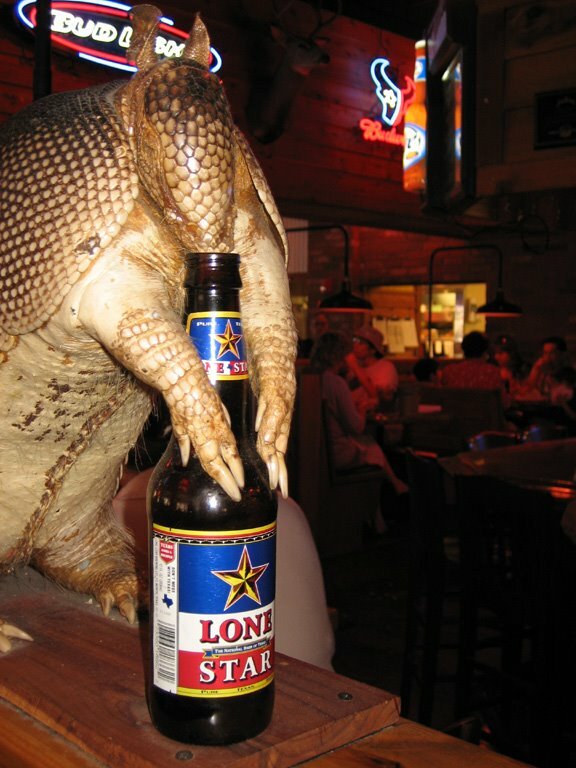 In a comment to a previous post, Leigh Johnson mentioned the big reptile observed during our Birder of the Year trip to south Texas. During two previous visits (the first during the Great Texas Birding Classic, the second for last year's Birder of the Year trip), I'd seen this sign at the South Padre Island Convention Center but hadn't paid attention to it. Now I will... because this time, I finally saw an alligator -- a big 'un -- parked near the observation blind in the above picture. 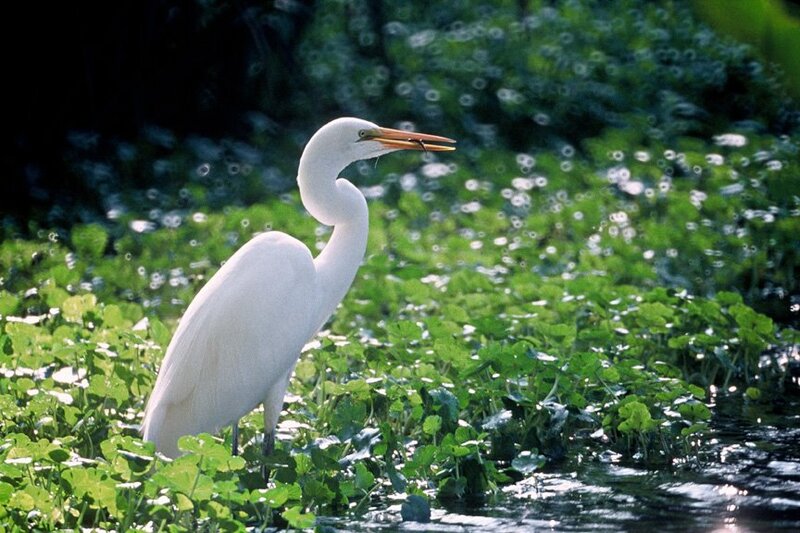 Alabama's Bon Secour National Wildlife Refuge reopened this week. The public can walk its trails for the first time Hurricane Ivan ravaged Fort Morgan Peninsula, Little Dauphin Island and other spots on the Gulf Coast in September 2004. Rufous Hummingbird (left), Ruby-throated Hummingbird and Black-chinned Hummingbird appear on the refuge's checklist, although seven hummer species apparently have been reported. A hummer banding project this week will continue until Saturday. Grab a cuppa joe, get comfy in your chair, visit this week's I and the Bird carnival, and get ready to be tempted by various books while reading Seth's unique compilation of blog posts. Wednesday's drive to the Valley International Airport in Harlingen finally included a conspicuously absent bird: Loggerhead Shrike. I couldn't believe that we hadn't seen one during the three previous days, but I saw one fly up to a telephone wire while speeding north on 509. Those little "butcher birds" are so cool. At the airport, I discovered that the video-game alcove (next to the rental-car counter) includes Galaga, a teenage favorite. It provided a few minutes of diversion (after being bitten relentlessly by mosquitoes -- despite insect repellent -- I did relish killing the virtual bugs). Another discovery at the airport also provided visual enjoyment -- a display of photographs from The Valley Land Fund's 1998 wildlife contest. 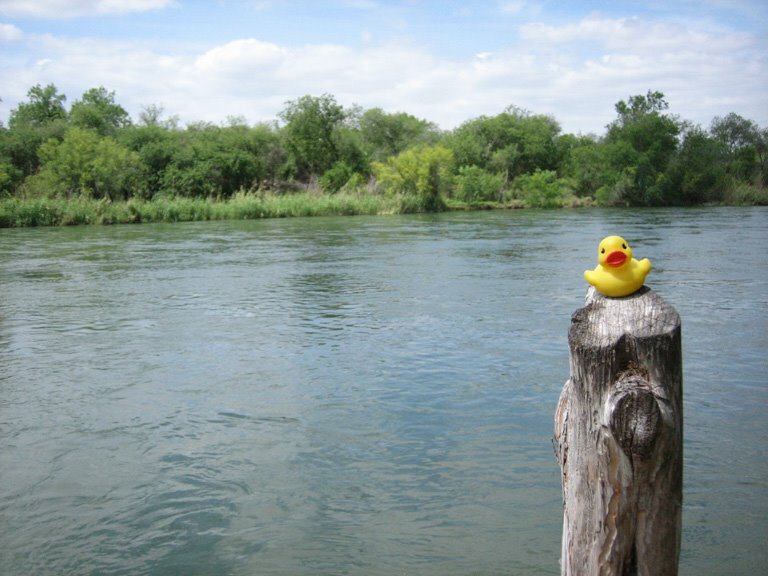 The mission of The Valley Land Fund, a 501(c)(3) land trust, is to preserve, enhance and expand the native wildlife habitat of the Lower Rio Grande Valley through education, land ownership and the creation of economic incentives for preservation. The goal of our photo contests is to create a partnership among businesses, private landowners and wildlife photographers, where all participants benefit while promoting the conservation and protection of wildlife and habitat. Landowners and photographers compete as teams and share equally in the significant prize money. Additionally, they promote wildlife conservation while participating in the most challenging wildlife photo contest in the world. Next to the airlines' check-in counters, the dozens of images depicted birds, mammals, reptiles and insects. In addition to the great pictures, I enjoyed seeing familiar names among the contest's participating photographers and the promotion of private landowners' role in habitat and wildlife conservation. Back in Orange County, California, new-to-me birds appeared during a dusk walk around the neighborhood. For the first time, I spied a Western Bluebird and a Downy Woodpecker. My dorkwalks typically occur in the early morning but now might take place during dusk, too, given those sightings. Like BirdChick says, "You never know where that great bird is gonna be." Our last day of Texas birding began with a 7 a.m. meeting with Pat Wade in Harlingen. We caravanned to Brownsville, stopping to watch Tamaulipan Crows as they gathered nesting material from a nearby willow tree. Very cool. At Sabal Palm, Pat, Leigh and I set out along the Resaca Loop, where Leigh spotted a singing Carolina Wren. 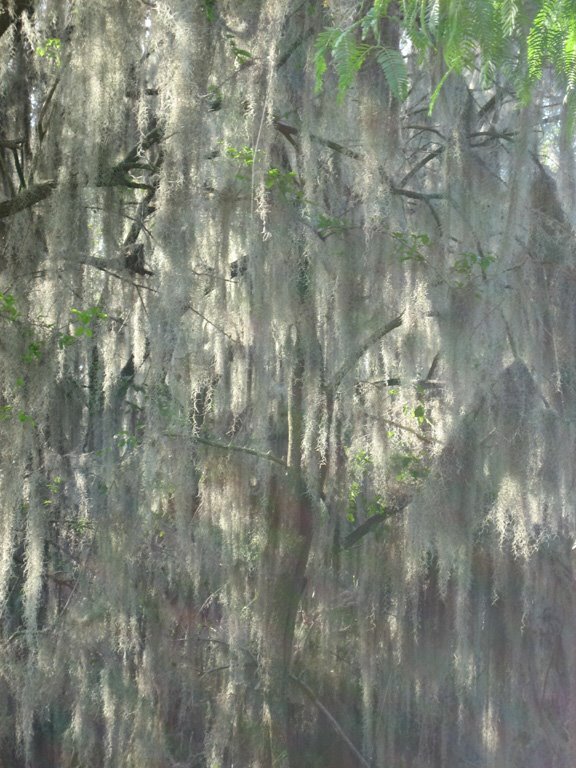 (Carla opted to deprive the mosquitoes and chiggers of sustenance and to nap in the car.) 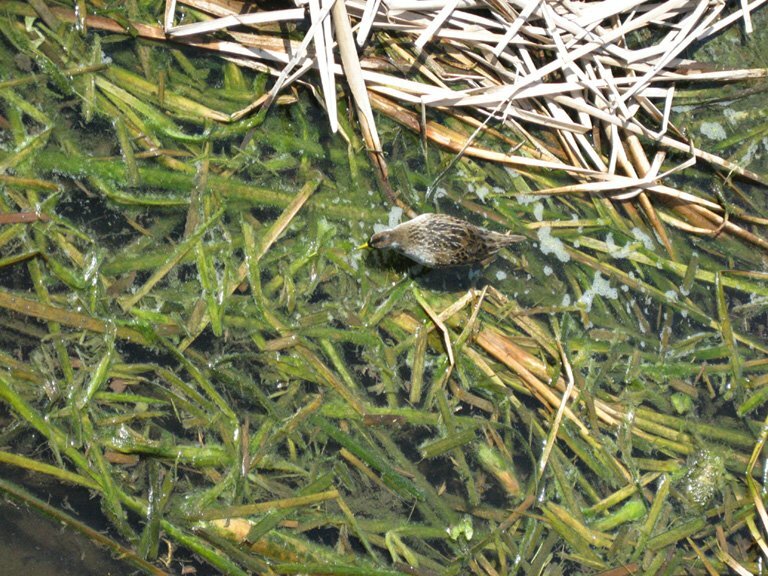 I enjoyed seeing the little bird's tail flick each time it started to sing. We soon saw Mottled Duck, Lesser Yellowlegs, Blue-winged Teal, Great Kiskadee, Bronzed Cowbird, Buff-bellied Hummingbird, Lincoln's Sparrow and Swainson's Hawk. Along the boardwalk, we encountered a group looking for the controversial(?) Gray-crowned Yellowthroat that sings like a Common Yellowthroat. Pat led the group to the bird, which flew onto a branch overhead and began singing. What a pretty bird with its brown cap, gray crown, black lores and yellow belly. Along the trail, Pat heard a Groove-billed Ani, but we didn't see one. We did, however, see or hear White-eyed Vireo and Olive Sparrow before walking next to the Black Vulture roost. It was cool to get such close looks at them. From the observation blind at the pond, we saw American Coot, Least Grebe, Common Moorhen, Gadwall, Redhead and Northern Pintail. On the trail back to the visitor center, we encountered two fellows from the earlier group, and Pat mentioned the Aplomado Falcon that was next on our itinerary, making Pat into a pied piper. At the visitor center, we saw Green Jay and White-tipped Dove before setting off to Old Port Isabel Road with a four-car caravan. 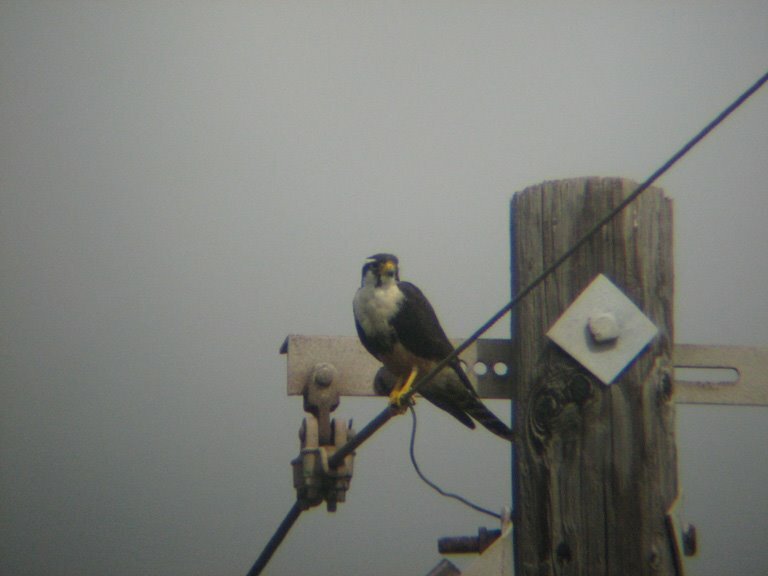 Along the gravel road, Pat stopped when he spied the male Aplomado Falcon on a telephone tower. What a gorgeous raptor! (Please forgive the poor quality of the ad-hoc digiscoped picture.) We all soaked him up through the scope, including Carla. Then someone spotted the female falcon on a nearby tree. Very cool. Before leaving that spot, the group enjoyed Crested Caracara and White-tailed Kite. Farther along, we saw Long-billed Curlew, Horned Lark, Cassin's Sparrow (what an amusing flight) and White-tailed Hawk. With the caravan winnowed to three cars, we crossed the causeway to South Padre Island and stopped at the entrance to SPI where an American Oystercatcher sat on a nest -- another lifer for Leigh. Pat led us to the island's migratory bird sanctuary, where many birders were enjoying colorful birds. We saw male and female Scarlet Tanagers, male and female Orchard Orioles, Summer Tanager, Ruby-throated Hummingbird, Tennessee Warbler, Rose-breasted Grosbeak (which really impressed Carla), Kentucky Warbler and Indigo Bunting. Pat introduced us to the sanctuary's land steward, Billy Snider. I enjoyed hearing about the sanctuary and especially Billy's description of himself as a "redneck Republican tree-hugger." Yep, it takes all kinds to protect habitat for the birds (c: Billy also serves on the advisory board of The Valley Land Fund, which purchased the lots that make up the sanctuary. We enjoyed a delicious lunch at South Padre Island Brewing Company before heading to the convention center, which hosted a humongous variety of birds. We saw or heard Tricolored Heron, Little Blue Heron, American Avocet, Blue-winged Teal, Redhead, Laughing Gull, Common Moorhen, Roseate Spoonbill, Black-necked Stilt, Least Tern, Blue Grosbeak, Yellow-rumped Warbler, Warbling Vireo, Black Skimmer, Caspian Tern, Royal Tern and Reddish Egret at the pond and along the shoreline. Along the boardwalks, we enjoyed the sight or sounds of Sora, Great Blue Heron, Red-breasted Merganser, Greater Scaup, Clapper Rail, Osprey, Cattle Egret, Semipalmated Sandpiper and Snowy Egret. It was cool to see Sora (right) in the open and apparently oblivious to us voyeurs. Before climbing into our cars, we saw Red-eyed Vireo, White-tailed Kite and Scarlet Tanager. We cooled off at La Tropicana Ice Cream Factory -- such cold creamy goodness on a humid afternoon. Then we drove off-island toward San Benito in search of Upland Sandpipers on the sod farms along 800. Pat spied the five birds next to the road, giving Leigh the last lifers of the trip. She was stoked. And that was the end of our Birder of the Year excursion in south Texas. 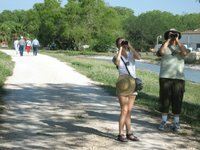 Many thanks to Keith Hackland at Alamo Inn, Sheridan Coffey and Martin Reid, Charlie and Lana Vieh of Vieh's Bed & Breakfast, Pat Wade and Bushnell Performance Optics for giving Leigh a fantastic introduction to birding in the lower Rio Grande Valley. The possibility of seeing hawks lured us -- Sheridan, Leigh and me -- back to Santa Ana NWR. We walked in with Martin, and Plain Chachalacas and Couch's Kingbirds greeted us. Then a Broad-winged Hawk flew across the road -- the first of many raptors. Martin spotted four Mississippi Kites perched in a tall, bare tree. They remained oblivious to us, and we enjoyed many looks from different points before they flew. Such beautiful gray birds of prey. 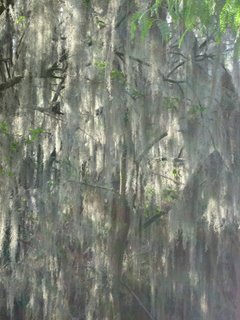 We focused on finding a Northern or Tropical Parula, walking underneath the trees draped in Spanish moss. The parula's wind-up song kept taunting us, but in the meantime, we saw Golden-fronted Woodpecker, Bronzed Cowbird (blazing red eyes! ), Long-billed Thrasher, Green Jay, Harris's Hawk and Olive Sparrow. The latter appeared to be bathing by rubbing against wet bougainvillea leaves -- fun to watch. Then Martin pointed out the hawks overhead. The morning lift-off had begun! We hustled to an open area and marvelled at the Turkey Vultures and Swainson's Hawks soaring overhead in kettles. A Crested Caracara blazed across our view. On the walk toward the hawk watch, we saw two Scissor-tailed Flycatchers, male and female on the telephone wire, giving us a chance to see the difference in tail length. An Altamira Oriole blazed across the gravel road leading to the hawk watch. There, we enjoyed the dozens and dozens of TVs and Swainson's overhead before meeting up with Carla and beginning the drive up river. If someone hasn't driven west on 83, he or she might be surprised by the changes in scenery -- both natural and man-made. I'd mentioned to Leigh and Carla that parts of south Texas can look like a Third World country; I don't think they believed me until we arrived at Chapeno (northwest of Roma) and El Rio RV Park. The birds really made us wait for 'em, but we saw Osprey, Pied-billed Grebe, a familiar subspecies of Anas rubberii, American Coot, Great Blue Heron, Common Moorhen and Purple Martin. The latter flew close to the river's surface and quickly dipped its chest into the water repeatedly; Leigh said it's a cooling technique used by nesting birds. Black Vulture, Neotropical Cormorant, Red-winged Blackbird and Ringed Kingfisher also made appearances along the river. The desired avian guest, Brown Jay, didn't visit the platform feeder near the river, but an immature (with the yellow bill) and an adult (with the dark bill) eventually visited the feeder near the office. Leigh was stoked to see the rare corvid. A quick stop at Salineno revealed few birds, notably our first Northern Cardinals of the trip. Then Sheridan and Martin departed for home, while our trio departed for sustenance. 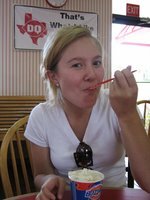 We found cool refreshments at the "Texas stop sign," where the Birder of the Year enjoyed her first Blizzard ever. After a bit of a trek east and south, we found Vieh's Bed & Breakfast in San Benito right where Lana said it would be: to the right of the big white mailbox. We also found dozens of Black-bellied Whistling-Ducks perched in the trees and on the house's roof. Charlie provides nestboxes for the squeaky-sounding ducks, and they provide lots of entertainment. After a leisurely morning and a satisfying breakfast at Alamo Inn, we – Sheridan, Leigh, Carla and I – set out for Anzalduas County Park. (Side note: The inn offers a well-stocked, self-serve breakfast room 24 hours a day. It’s fantastic.) Carla’s presence was a bonus, as she originally said she didn’t plan to bird. She had such a good time on Saturday night while spotlighting Common Pauraque that she changed her mind and wanted to see more of what this birding stuff is like. We saw and heard lots of great birds, including Northern Parula, Golden-fronted Woodpecker and Black-bellied Whistling-Duck. The latter species amused me and Leigh with the squeaky call, and we saw lots of them, including five perched in the same bare tree. We also spied Ladder-backed Woodpecker, Great Kiskadee, Couch’s Kingbird, Cave Swallow, Turkey Vulture, Black Vulture and Swainson’s Hawk. It was especially cool to see the vultures soaring in kettles and then streaming above us and to enjoy close-up views of both species at the same time. 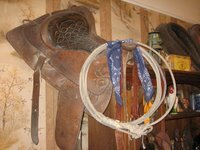 We heard Gray Hawk numerous times but couldn’t track it down. Next to and on the Rio Grande, we saw Great Egret, Laughing Gull, Black-crowned Night-Heron, Neotropical Cormorant and Double-crested Cormorant. I felt particularly pleased to spy the Scissor-tailed Flycatcher sitting on the cable fence, and the bird gave us long looks at its long tail and salmon-colored feathers under its wings. On the way out, we spied Black-necked Stilt and Blue-winged Teal. On the way to Bentsen-Rio Grande Valley State Park, Leigh spied her life Harris’s Hawk on a road sign. Very cool to see the distinctive raptor so close to us. After taking the tram into the park and stepping off at the kingfisher overlook, we saw Anhinga, American Coot and Common Moorhen. A short walk took us to an observation blind, where we watched Red-winged Blackbird monopolize the platform feeder. Ambling toward the Kiskadee Trail, we saw Green Jays (they’re wonderfully colorful! ), and on the loop, we watched Ladder-backed Woodpecker, Inca Dove, Altamira Oriole and Black-throated Green Warbler eating a fat green caterpillar. At a platform feeder, we enjoyed Indigo Bunting, Long-billed Thrasher, Altamira/Audubon’s Oriole hybrid and Great-tailed Grackle. At another observation blind (very nicely designed, by the way), we observed Green Jay, Red-winged Blackbird and a javelina eating refuse from a suspended seed feeder. Then, finally, Leigh saw her life Plain Chachalaca. Our stomachs had started rumbling audibly in the observation blind. We ended up at Texas Roadhouse (a new-to-me restaurant chain that began in Indiana of all places) and enjoyed yummy fare amid the unique décor, such as this beer-sipping armadillo. Then we zipped over to Santa Ana National Wildlife Refuge and popped into the visitor center. There we chatted with intern Heidi Trudell, who later joined us along the C trail. We saw Black-crested Titmouse, White-eyed Vireo, Roseate Spoonbill, Black-bellied Whistling-Duck, Tricolored Heron, Black-necked Stilt, Greater and Lesser Yellowlegs, Great Egret, American Coot, Great Kiskadee, White-faced Ibis, Northern Shoveler, Least Grebe and Snowy Egret. I particularly enjoyed seeing the spoonbill and two whistling-ducks on the same branch – such vibrant colors. Heidi (on the right) lead the way to a guaranteed spot for Buff-bellied Hummingbird – a coworker’s trailer. We oozed into the lawn chairs and chatted while waiting for the beautiful bird to visit the sugar-water feeder, which it did about four times. The buff-belly provided a fine finish to a day with more than 25 life birds for Leigh. The Birder of the Year trip began today rather auspiciously. Leigh Johnson, Carla Lindstrom (Leigh's mom) and I arrived at the Alamo Inn & Suites in Alamo, Texas, (between Donna and San Juan) about 5 p.m. The inn's rooms reflect different themes, and my room is very western, complete with a saddle and lasso atop the large hutch (below)! We met up with Sheridan Coffey and Martin Reid, also staying at the inn, for dinner. Following our arduous hike across the street to El Dorado, we gratefully downed the hee-YUGE glasses of beverages. The waiter later delivered hee-YUGE platters of tasty and filling Tex-Mex vittles, which we enjoyed amid laughter-accented conversation. Sheridan previously had suggested that we go out to spotlight Common Pauraque, so we drove west to Bentsen-Rio Grande Valley State Park. We received a rousing welcome from the hee-YUGE mosquitoes. We saw Lesser Nighthawks in the darkening sky, and we heard Eastern Screech-Owls. 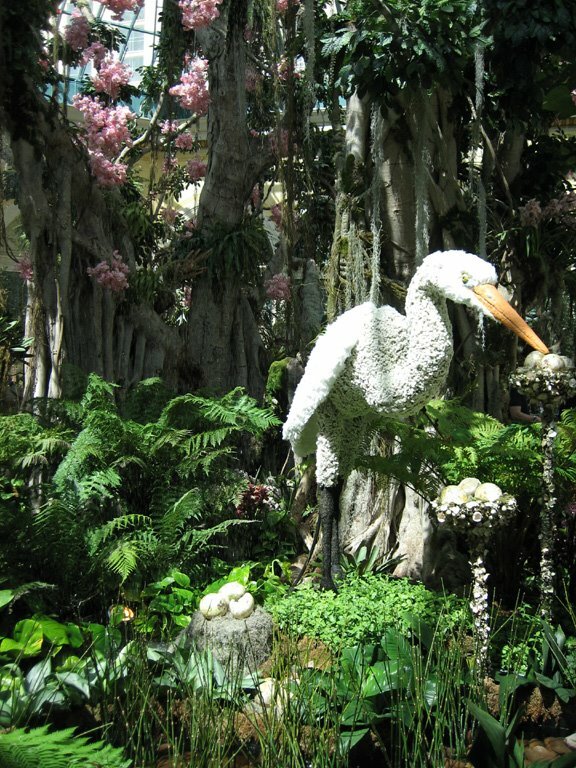 The pauraques also created a "ruckus," with various birds calling. What a cool sound! Thanks to the spotlight, we saw the eye glow and flight of a pauraque twice. It was Leigh's first lifer of the trip, with more to come in the three upcoming days. The bright moon cast shadows on the gravel and asphalt roads, and the stars shone brightly. As we walked back toward the cars, fireflies appeared overhead near the trees -- my second time to see them in person, both times in south Texas. This place is so cool. 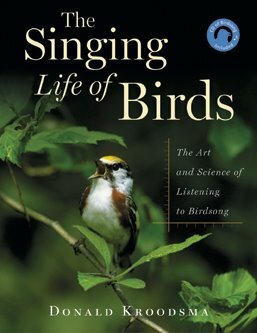 Correct me if I'm wrong, but it seems that a recognition of birds' vocalizations contributed to transforming "birdwatching" to "birding," to moving the hobby/sport/lifestyle beyond a strictly visual form of identification. Birdsong appears to have become a popular book topic within the last 10 years and particularly in the last two. 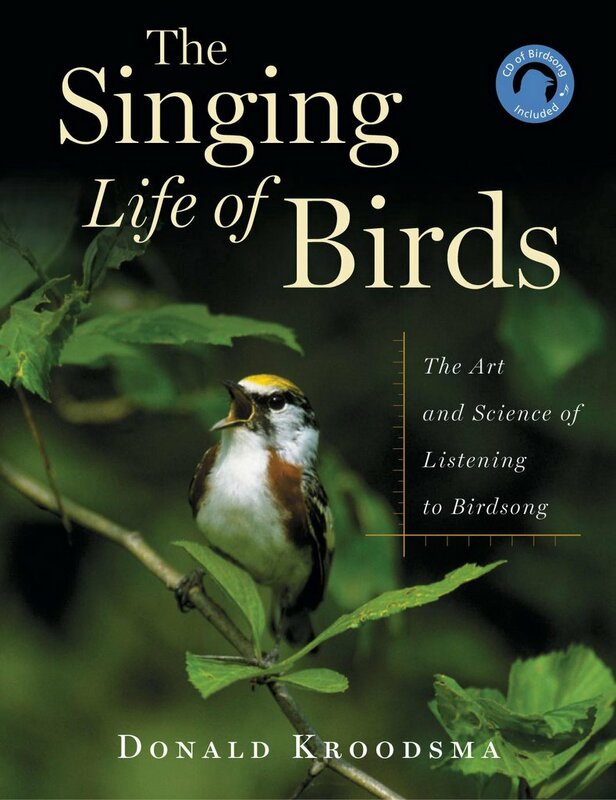 Last year, Donald Kroodsma's The Singing Life of Birds: The Art and Science of Listening to Birdsong emerged, with CD and sonagrams. 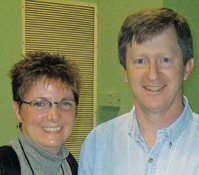 This year, Kroodsma received the Burroughs 2006 Medal award from the John Burroughs Association. The 80th annual award recognizes American books that combine fieldwork, accuracy and engaging writing in the tradition of Burroughs' essays about nature. Between 1867 and 1922, Burroughs produced 29 books of essays that reflected a lifetime of interest. In a similar vein, Kroodsma has studied birdsong for more than 30 years. A retired associate professor emeritus from Massachusetts, he now contributes as a visiting fellow at the Cornell Laboratory of Ornithology... and accepts smooches from admirers. Active birding can require different clothing than I typically wear, and some birding hotspots require even more specific types of clothing. For instance, the flight on this Saturday will put me in south Texas, where the predicted high temp for the next five days ranges in the upper 80s. Being a native Southern Californian, I do not fear those temps, but I do recognize that those temps and our itinerary for the Birder of the Year mean that my jeans and shorts are not the most suitable attire. I set out on a quest for new, lightweight outdoor pants and ran smack into a wall of khaki. Please allow me to indulge my inner girly-girl: Khaki? That's a horrid color! Who the heck wants to wear khaki?! That color matches nothing... except tan. Why do I have to ignore my fashion sense while birding? So here's my question: While birding in the field, what colors (khaki and tan are off-limits) are considered acceptable and attractive? We can do our part to protect the habitat that supports "our" birds by paying just $15 for a stamp that provides free access to all NWRs and purchases more habitat. 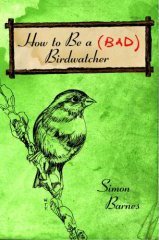 Have your eyes feasted on Simon Barnes' How to be a (Bad) Birdwatcher? I thoroughly enjoyed the advance reader's edition sent to the office last year and continually indulge in tidbits during the lunch hour. 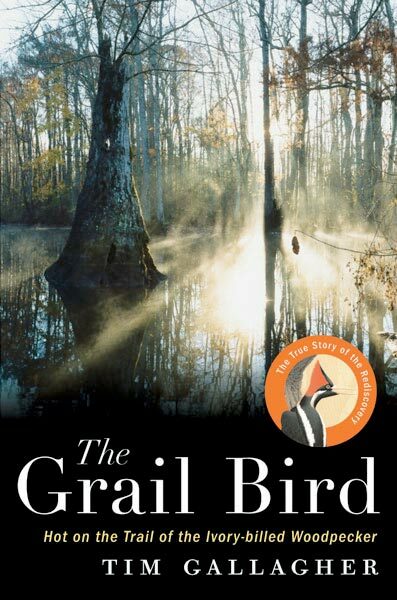 In the book, Barnes shares his irreverent take on birding and serves dollops of salty humor, even amid salient points. The Brit often made me grin and chuckle. The most popular activity in the industrialized part of the world is going for a walk in the country, and it's about the best, too. Something deep inside propels us outside, to move about anywhere that's a bit green: city park, suburban open space, wilderness. And here's how you do it. You put one foot after another, and when you see a bird, you stop and put your binoculars to your eyes and say, "What the bloody hell's that?" 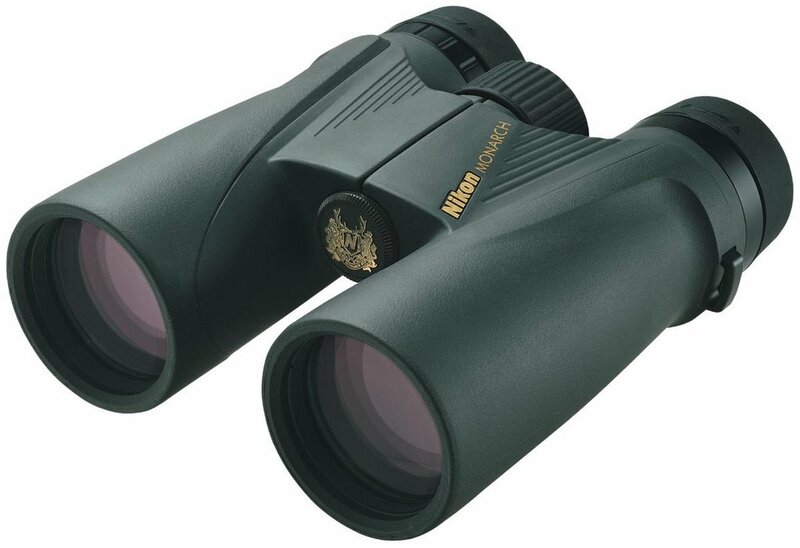 I already had a pair of binoculars, the ones I got for horse racing. They cost HK$100, or about ten quid; not a lot, even then. They were, in snobbish birdwatching terms, or even in ordinary optical terms, complete crap. But even the crappiest binoculars are great. My binoculars were utterly brilliant. They brought the birds closer, you see. The only real skill involved in this perfect birdwatching moment was the willingness to look. It was not skill that gave me the sight; it was habit. I have developed the habit of looking: when I see a bird, I always look, wherever I am. It is no longer a conscious decision. I might be in the middle of a conversation of amazing importance about the Direction of Our Marriage, but my eye will flick out of the window at a hint of movement, caught in the tail of my eye, and I will register: bloody hell, sparrowhawk. I might say it aloud, too--not necessarily a wise decision. No matter how experienced we grow, no matter how sophisticated our avocation becomes, fun always should lie at the heart of birding. If you look at the very finest birders in North American, you will note that they embody this simple truth. Do you know of a book or a birder who embodies this truth? Please share in the comments. 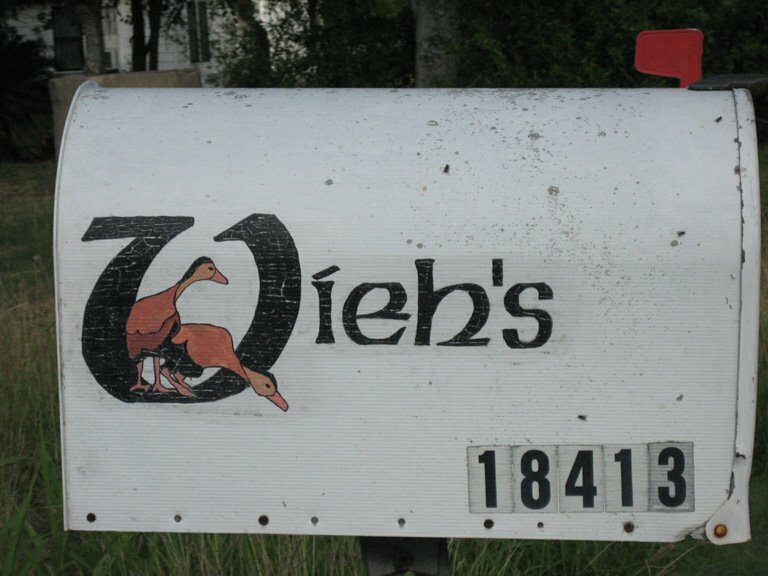 Can you imagine a 7-foot-tall Wild Turkey? 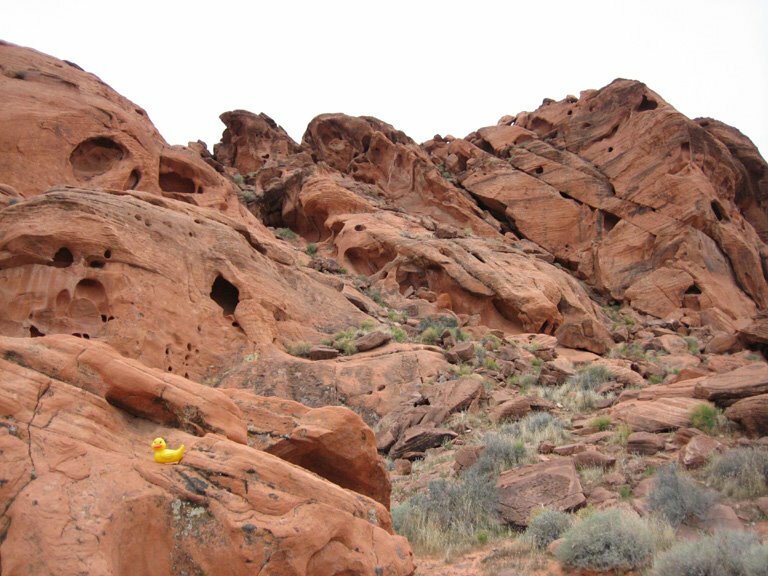 That's how paleontologists envision the dinosaur that lived in southern Utah. The dinosaur had a strong toothless beak, powerful arms and formidable claws that made it capable of eating animals and plants. Large feathers grew on its hind end, giving it a resemblance to a turkey, [doctoral student Lindsay] Zanno said. Scientists are not sure what purpose the feathers served, but it was not for flying. "It's quite different from modern birds," she said. You can watch a video report here. Can birders match hunters' considerable financial contributions to habitat conservation? Do birders appreciate those contributions? 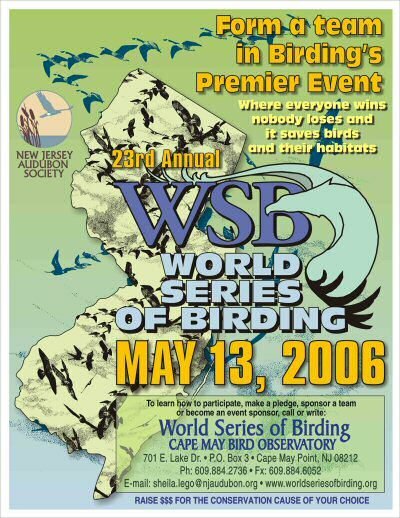 The condescending attitude towards sportsmen surfaces at birding events and in online forums. I heard it recently at The Call of the Ivory-billed Woodpecker Celebration in Brinkley, Ark. At the end of Project Director Ron Rohrbaugh's discussion of the Cornell search's use of autonomous recording units and the woodpecker's kent call, he answered questions. A woman asked if the search area would be closed to hunters, because shotgun blasts could scare away the birds. Rohrbaugh quickly and politely said there's no need to do so. 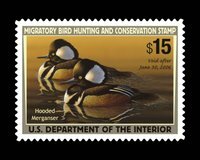 Since 1934, sportsmen have purchased an annual Federal Migratory Bird Hunting and Conservation Stamp to legally hunt migratory waterfowl. That's a lot of years of Duck Stamp sales. In fact, that translates into more than $700 million, according to the U.S. Fish & Wildlife Service. From each dollar used to purchase a stamp, 98 cents goes to the purchase or lease of wetland habitat within the National Wildlife Refuge System. That means more than 5.2 million acres of waterfowl habitat have been protected within national refuges. 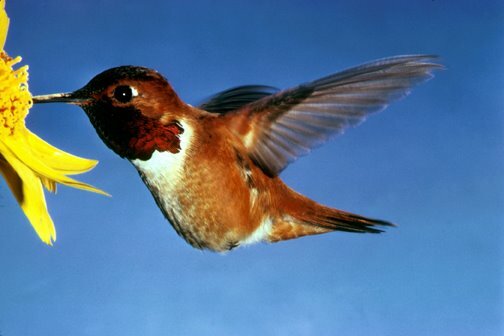 Myriad bird species and other wildlife live within those 5.2 million acres. 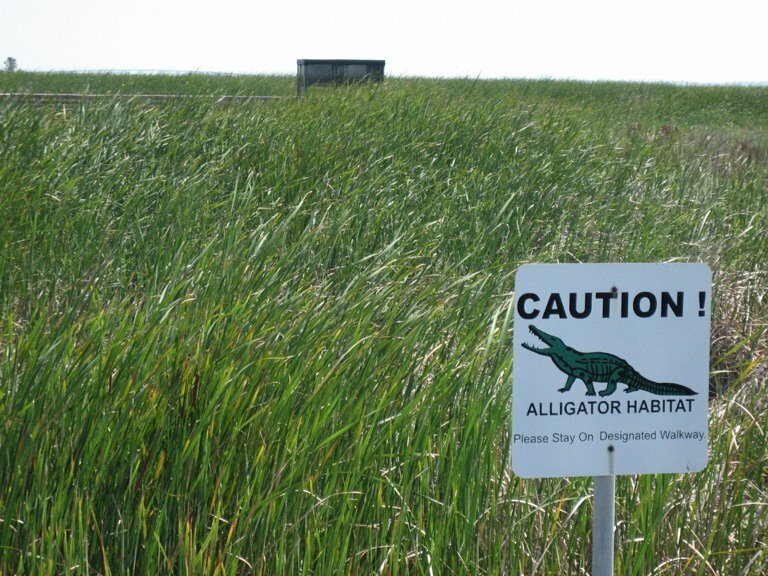 Those animals likely wouldn't be protected within that land if not for the Duck Stamp. Birders obviously have benefited from Duck Stamp revenue. 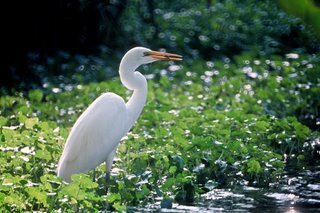 That money has created or contributed to popular birding sites in Florida (Ding Darling NWR), Texas (Santa Ana NWR), New Mexico (Bosque del Apache NWR) and California (Sonny Bono Salton Sea NWR). 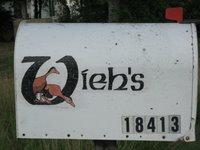 Given those facts about habitat and species conservation, why don't more birders purchase the $15 Duck Stamps via www.duckstamp.com or a local post office? 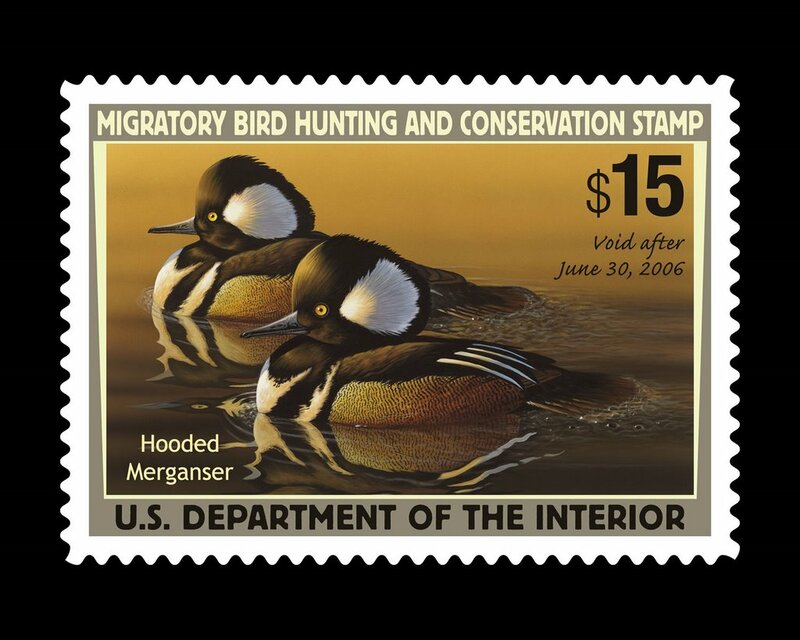 Will they celebrate International Migratory Bird Day on May 13 by buying a Duck Stamp? When will more birders participate in this efficient conservation tool and purchase as many stamps as hunters do each year? 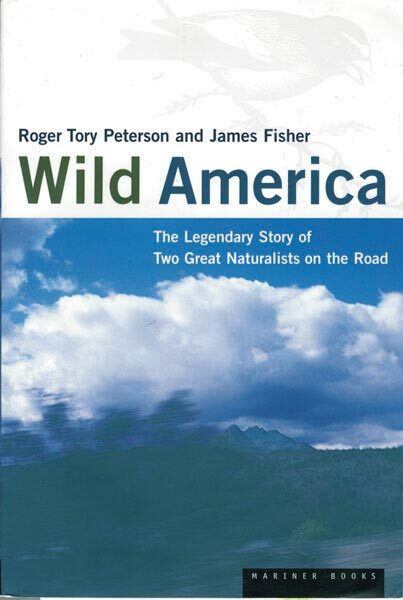 This column appears as the Editor's Note in the May/June issue of WildBird, which is now available. 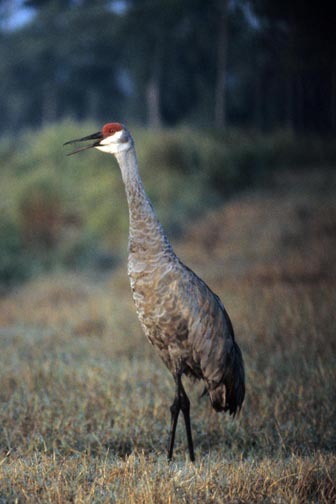 for pointing out this well-done article in USA Today about Sandhill Cranes. What makes it well-done? The map, the details about planning a trip, the sidebar about bird flu, the map of other birding hotspots in the states and the related article about those hotspots. If only the mainstream media consistently provided such great information about birding to its millions of readers! 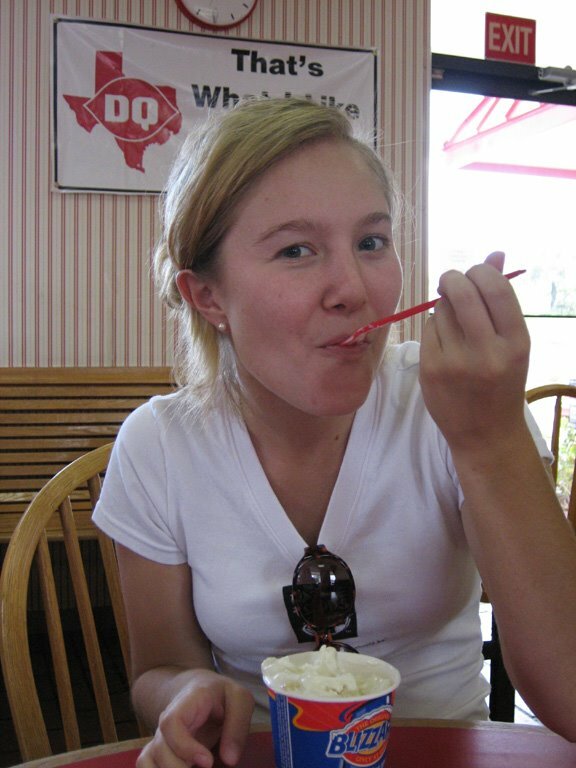 If you see interesting articles or tidbits, please feel free to share them with me! A long weekend in Las Vegas allowed time for avian voyeurism. My path, however, didn't cross those of many birds, mostly House Sparrows, Great-tailed Grackles and American Coots. A beautiful Yellow-headed Blackbird foraged at Redstone Dunes, but it wouldn't allow a photo. It must be used to ducking the paparazzi. Speaking of "ducking," this little lady willingly posed for me at the dunes. The egrets in the Bellagio's conservatory also struck poses for their many admirers.